Medi-Ray produces a wide range of lead materials in sheet form for shielding nuclear medicine facilities and X-Ray rooms. Our sheet lead shielding materials are thin antimonial lead foils. They adapt well to thin contoured applications such as electrical shielding. If you need sheet lead products, contact us today. We can meet all your sheet lead shielding needs. Call 877-898-3003 or 914-979-2740 or email sales@mediray.com. Lead is highly effective in providing protection from various sources of radiation. It is used as the primary material for radiation shielding. Its high density makes it one of the preferred materials for high energy radiation applications like x-rays, gamma rays and other nuclear radiation. Since lead has an extremely low level of neutron absorption and practically no gamma radiation, it cannot become radioactive. Even after long exposure to neutrons, lead emits an insignificant amount of radiation due to activation. Lead may not be the densest metal, but it is the standard used in radiation shielding because it is readily available, easily fabricated and its cost is lower than other high density materials. Medi-RayTM has been providing customers with over 35 years of metallurgy expertise in custom and precision lead shielding products produced with proprietary equipment. For all your radiation shielding needs, call us at 877-898-3003 or 914-979-2740 or email us at sales@mediray.com. Radiation shielding materials are used in a variety of radiologic applications. Using radiation in diagnosing and treating patients has significantly advanced the field of medicine and saved or extended countless lives. Radiation, however, comes with risks. Those who use radiation must be adequately trained in radiation safety, radiation physics, the biologic effects of radiation and injury prevention to ensure patient safety. Lead shielding is often used in a variety of applications including diagnostic imaging, radiation therapy, and nuclear and industrial shielding. Lead is a soft, malleable and corrosion-resistant material. The high density of lead makes it a useful shield against X-ray and gamma-ray radiation. Lead, in its pure form, is brittle and cannot be worn as apparel. To transform pure lead into a wearable radiation shielding material, it is mixed with binders and additives to make a flexible lead vinyl sheet. The lead sheets are then layered to the desired thickness to achieve the required lead equivalency and incorporated into the radiation shielding garment. Lead composite shielding is a mixture of lead and other lighter weight metals. These lead-based composite blends are a proprietary mixture of lead and other heavy metals that attenuate radiation. Lead-based composite blend radiation shielding garments are lighter than regular grade lead and are available with the same lead equivalency protection levels. Non-lead and lead-free shielding materials offer the same protection levels as lead-based composite shielding. Non-lead shielding materials are manufactured with additives and binders mixed with attenuating heavy metals and fall into the same category of materials as lead that also absorbs or blocks radiation. These metals include tin, antimony, tungsten, bismuth and other elements. These core radiation shielding material options have their own unique benefits and features. There are several factors you will want to consider when choosing your shielding option, like the specific procedure being performed, the length of the procedure and its frequency. Whether you are shielding radioactive materials, X-Ray, CT, MRI or PET scanning equipment, or the rooms that house them, Medi-Ray has the shielding components you need: sheet lead and foils, adhesive backed and coated lead materials, and custom components and lead stampings. Medi-RayTM has been providing customers with over 35 years of metallurgy expertise in custom and precision lead products produced by proprietary equipment. For all your radiation shielding needs, call us at 877-898-3003 or 914-979-2740 or email us at sales@mediray.com. Many applications require radiation shielding to protect workers and members of the public from harmful radiation. Lead provides effective radiation shielding against gamma rays and x-rays because of its high molecular density, high atomic number and high level of stability. It can be used for installing radiation shielding in medical facilities, as well as research facilities in industries, universities or in the military. Lead shielding products are available in various forms to suit different applications. Lead bricks are used where maximum protection is required. Interlocking lead bricks provide maximum radiation shielding due to its tongue and groove design. They are made in different sizes, thicknesses and shapes. Lead bricks are ideal for adding radiation shielding to existing rooms. However, lead bricks can be customized in a new construction to reduce wall or ceiling thickness in order to save space. Lead bricks are often mounted to steel frames or other structures such as lead-lined cabinets for increased structural integrity. They do not require mortar or other additional shielding materials. Apart from radiation shielding, lead brick is also used in radioactive isotope creation, counterbalances and ballast weights. Lead plates can be used for radiation shielding on walls, window frames and doors. It can also be used as a sound barrier. Lead plates are manufactured to consistent standards in a variety of thicknesses and sizes, and can also be made in custom sizes and shapes. This is a form of sheet lead that can be easily cut, bent and shaped for use in many applications. It is commonly used in the construction of walls, doors and frames. The lead sheet can also be installed on lead-lined walls to stop radiation leakage from cut-outs and penetrations. High density lead glass provides protection in areas where both radiation shielding and a clear view are necessary for the diagnostic or manufacturing activities involved. It can be installed on walls, window or doors. Lead glass is installed on lead-lined frames. Lead wool consists of thin strands of lead. It is used as a caulk to seal joints between lead and steel fittings. Lead Powder is placed within plastic sheets in some protective clothing such as lead aprons. Lead clothing provides protective clothing for workers whenever there is a need for radiation shielding. Lead clothing shielding comes in many forms including lead aprons, lead thyroid shields, lead-lined gloves, and eyewear containing leaded glass, lead sleeves and moveable lead shields. Protective clothing should conform to requirements specified by the National Council on Radiation Protection (NCRP). Contact Medi-RayTM, Inc. for effective radiation shielding. 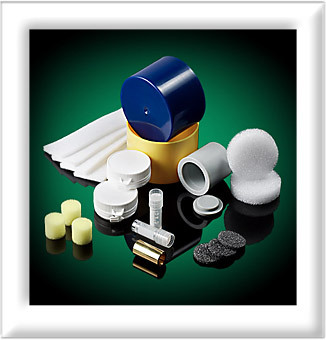 Medi-RayTM, Inc. produces a wide range of lead materials for the shielding of nuclear medicine facilities and x-ray rooms. Contact our consultants at 877-898-3003 or 914-979-2740 or fax us at 914-337-4620. You can also email us at sales@mediray.com. How Do Consumers Benefit from the Quality Management Principles of ISO 9001? These principles are guidelines that can help companies tackle some of the most demanding challenges of modern business. The ISO standards ensure that business operations are as efficient as possible, increase productivity and help companies access new markets. Many businesses are not only able to cut costs, and reduce their impact on the environment, but are also able to increase customer satisfaction. When businesses choose to conform to the ISO standards for their products and services consumers can have confidence that the products they purchase are safe, reliable and of good quality. Understanding the needs of existing and future customers is vital in aligning organizational objectives with customer needs and expectations. The ISO standards allow companies to meet customer requirements, create and manage customer relationships, and exceed customer expectations. Since the beginning, Medi-Ray has had an effective, end-user oriented management system to insure that the resulting lead products and services are always of the highest standards and compatible with today’s metallurgical and radiation shielding requirements. We have been ISO certified so that we may continue to provide our clients and customers with excellent quality, service and products. ISO 9001 helps organizations demonstrate to customers that they can offer products and services of consistently good quality. It is a standard that sets out the requirements for a quality management system. The benefits of this management system are efficiency and improved customer satisfaction for businesses and organizations. Certification for ISO 9001 is intended for businesses and organizations to improve their management performance. However, receiving certification to ISO 9001 is not an easy task and it may not always be granted. Every organization is different, so the process required to receive certification to a quality management system will be unique to the situation of the company. The process for becoming certified requires a two-phase audit preformed by an accredited body. From the very beginning Medi-Ray has employed effective, end-user oriented management to ensure that resulting lead products and services are of the highest standards and compatible with today’s metallurgical and radiation shielding requirements. We have been certified to the ISO standards so that we may continue to provide our clients with quality service and products. A certified professional radiation health physicist must calculate the proper amount of lead shielding required based on certain considerations. It will depend on the source of radiation—the type of machine used and where it is located. The following information helps in understanding what factors determine lead shield requirements for diagnostic imagining and radiation therapy. The goal is to ensure that the maximum radiation protection is achieved. Energy potential: The energy potential of the machine will determine the lead shielding requirement—the higher the output of the machine, the higher the lead shielding required. Workload: The exposure per week, month or year must be determined, as well as the maximum patient volume growth, as radiation is cumulative and overexposure causes biological damage on the cellular level. Check the local governing health and safety law and codes for current compliance requirements. Orientation/Direction: Wall lead shielding is calculated by a physicist in relation to the primary beam target. The direction where the radiation is aimed and will scatter. Distance: Radiation will dissipate more as distance increases. The closer a partition is to the radiation/x-ray source, the higher the shielding requirement. Occupancy: A very important part in your calculation is the amount of time, per day, a surrounding room similar to the x-ray room (source or radiation) will be occupied by personnel or public. The lead shielding on wall and floors increases with the level of occupancy. Type of material: The type of construction material used for wall, partition and floor may reduce the requirement for lead shielding. Heavy density materials such as concrete, steel and plaster can shield radiation to some level. All lead shielding requirements should be calculated by an expert. Medi-RayTM, Inc. specializes in lead shielding solutions. We design and provide various radiation shielding products. For many years it has been thought that lead is a very dangerous material that should be avoided or removed from peoples’ homes. Nobody ever expected that lead would be used for something good, something that could save lives. Today lead is used to make protective shields. Lead shielding has many uses in a variety of different industries. However, its most common and important purpose is to create a protective shield for patients undergoing X-Ray testing or radiation treatment. If you or someone you know is in need of lead shielding, or is interested in learning more about it, contact Medi-Ray™ today. We have the professional knowledge and experience to make sure that our customers are completely satisfied with their safety material. Due to lead’s high density, it is the perfect material for blocking gamma rays and x-rays that can be harmful to the body, as they can tamper with DNA and even cause cancer. However, with the protection of lead shielding, harmful rays are absorbed in the lead and never even make it to the body. Lead shielding comes in many forms, shapes and sizes. For example, lead shielding can be found in the form of an apron for patients to wear in an x- ray testing room, to cover sensitive organs in the body. Lead shielding can also be found in the laboratory itself, in structures such as walls comprised of lead bricks, as well as thick containers with a lead base, used for transporting hazardous radioactive materials. If you or someone you know is in need of lead shielding or would like to learn more about it, contact Medi-Ray™ today. Our experienced team of professionals will stop at nothing to make sure that our customers are satisfied and that all their needs are met. Medi-Ray™, a lead castings manufacturing company in NY, specializes in the design and manufacture of precision lead components. They provide various services including lead castings, lead stamping, andlead coating. If you need lead castings in NY, then call us at 877-898-3003.